Starting this year I made it an target for myself to have an average monthly dividend income of €1.000 in 2027. I also stated in my long term goals that I would increase the average dividend amount every year with the inflation. The inflation in The Netherlands based on the CPI-index is 1,5% so I increase my monthly dividend target to €1.015. I end 2017 with an expected yearly dividend of €1.296,49 based on todays exchange rates. For next year I have a short term focus of adding companies generating a relatively high dividend stream to my portfolio so I will build a layer of income generating companies in my portfolio which I can use to increase my monthly share purchases. It’s the first time I set a target to reach next year to support the long term target. I have to say it’s a bit challenging to estimate a realistic goal for next year. Just because I decided to have a year with a focus on stocks with a high yield I have to be aware to not only blindly focussing on stocks delivering a high absolute return. Within high yield shares I still have to find stocks which have a history in increasing dividends. The shortlist with potential investments is full with REIT’s, Utilities, Financials, Oil Companies and a few Consumer Staples and Pharma companies. So keeping my portfolio properly spread over various sectors will be challenging. Another challenge is keeping the currencies balanced. It’s way more easy to do research about American companies, because information about American listed companies is more available than information about European companies. For this reason on my short list there are only a few European companies. I’m from the Netherlands so I want to have a decent share of euro companies in my portfolio to avoid overexposure to dollar exchange rates. So I have to so more research to find euro companies with attractive yields. I’m curious how my portfolio will develop next year and if I will be able to realize my targets while keeping my portfolio balanced. 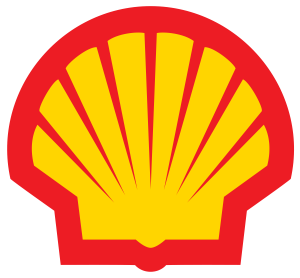 Today I bought 100 shares Royal Dutch Shell A (epa:rdsa) against a price of €27,53 per share. I now have a total position of 120 shares Royal Dutch Shell. Royal Dutch Shell is currently paying a quarterly dividend of $0,47. This is an expected yearly dividend op $1,88 per year. In euro’s this is €1,59 against the current exchange rate of 1.178. With this purchase I add €159 in yearly dividend income. The yield on cost of this purchase will be 5,8%. I bought these stocks, because Royal Dutch Shell announced strong cashflow figures last week. They also announced to stop their stockdividend program. In my eyes this is a sign that Royal Dutch Shell (epa:rdsa) considers their cashflow strong enough to fund investments and dividend payments. In july I sold 2 December puts on Iberdrola shares with an excercise price of €6,75. The stock price of Iberdrola at that time was €6,87. For selling the 2 puts I received 0,26 per share so €52 in total. After transaction costs the received premium was €49. Today I decided to close this position. The stock price of Iberdrola today was €6,60 and I bought back the 2 put options for €0,22 per share so €44 euro in total. After transaction costs this is €47. Volatility of the Iberdrola shares increased slightly last few months so I plan to sell 2 januari €6,50 puts if next few days the stock prices will decline slightly. For €0,20 per share I plan to open this position again. If assigned in January the net purchase price will be €6,31 including transaction fee’s.